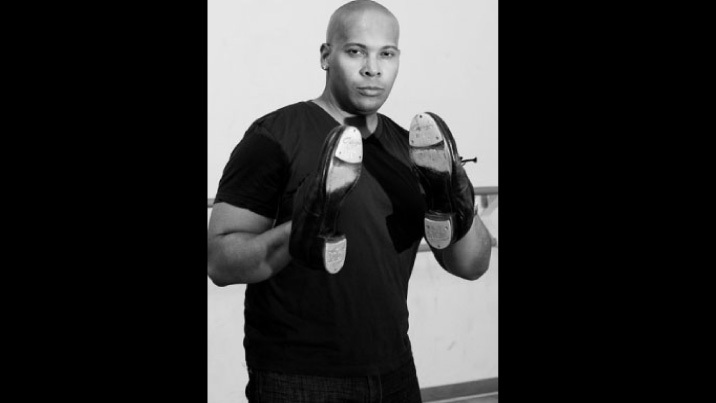 BRIL BARRETT is a dedicated tap dancer, whose mission is to preserve and promote tap dance as a percussive art form, foster respect and admiration for the history and creators of tap, and continuously create opportunities for the art form and its practitioners. Bril is the founder of M.A.D.D. (Making A Difference Dancing) Rhythms, Co-founder of M.A.D.D. Rhythms Canada, director of The Chicago Tap Summit, and founder of The M.A.D.D. Rhythms Tap Academy. His performance opportunities include Riverdance, Tap Dance Kid, Imagine Tap, The St. Louis Tap Festival, The Calgary Tap Summit, and many others. Bril has taught and/or performed in Prague, Canada, Germany, Finland, Turkey, Austria, Denmark, Sweden, Albania, Amsterdam, and across the U.S. He has started many outreach programs in Chicago’s public schools, park districts, and even a performing arts high school in Gary, Indiana. Mr. Barrett has been running an After School Matters Youth Tap Program at The Better Boys Foundation in the North Lawndale community for the last 3 years and has just started one at Englewood High School in Englewood this year. The BBF program has been so successful that it has spawned a new addition to the M.A.D.D. Rhythms family, “M.A.D.D. Rhythms West: The BBF Crew”. The M.A.D.D. Rhythms Jr. Squad is in its second year and quickly gaining a reputation for layin’ some madd rhythms on the wood. Bril is determined to make a difference in his community by using tap and its history to expose our youth to the art form that saved his life! Respect The Dance!